Not super photogenic, but very good. That was that. I had to check it out. A note: I went to Yelp just to see how the Yelpers felt about Mexico City. I have to say– Yelp can be really confusing. The reviews were all over the map. So I was just like– whatever! My friend likes it! And I have been hearing more and more often about shady Yelp-review-pulling and stuff… so. I don’t know how to feel about Yelp anymore. And now a word about mole. 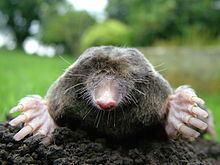 I tend to spell it “mo-lay” when I’m talking to friends about it, because I don’t want them to think that I love to eat moles, as in the weird burrowing animal. I always thought that mole was spelled with an accent, but after I finally learned how to insert an accent (Option E, vowel– molé! olé! ), I found out that it’s just mole. Weird. I will not eat you, little Sir! It just looks like a nose! Also– when you sit down you get chips with two types of salsa. They’re both mild/medium-ish. This picture looks weird– I swear it’s more appetizing in person. The chips are good, but I’m weirdly loyal to the chips at Chipotle. 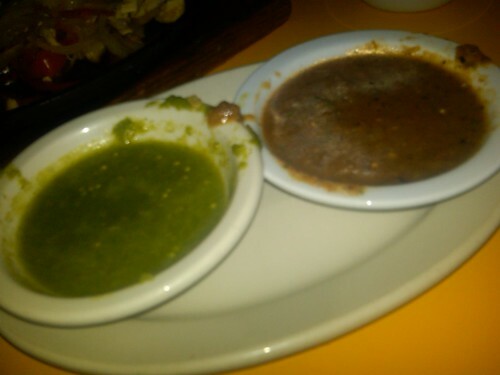 (And the guac– I heard the guacamole at Mexico City is really good, but I haven’t tried it yet.) It might be the salt. Now you know– if I email you and ask if you’ll accompany me to Mexico City to eat some mole, I’m not talking about the city in Mexico nor the animal. 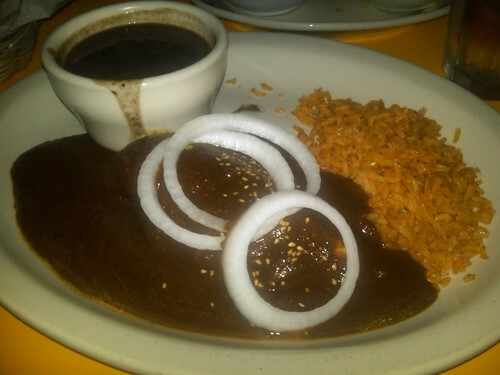 Our mole was very good at Blue Agave. You inspired us to order it. Your mole picture made me realize I had no idea what a mole actually looked like. Aren’t they the things that ruin lawns? Previous Previous post: A Cure for the Mondays: RAINBOW CUPCAKES!! !